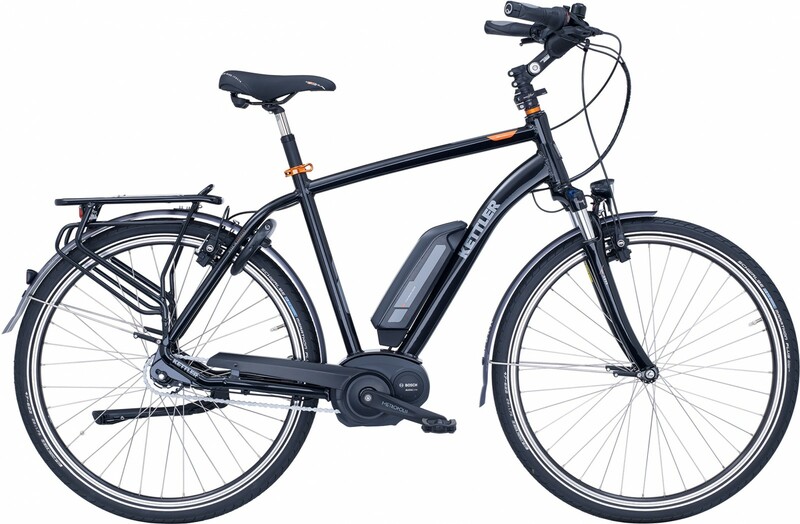 We offer this e-bike model also with a backpedal brake (instead of a freewheel). Get on and feel good - the new Kettler e-bike Obra Ergo FL (Wave, 28 inches) invites to enjoy comfortable city tours and long cycling tours. The equipment and the design are of first class. The Wave frame offers an easy getting on. The powerful Bosch Active mid-engine and a pannier rack battery with an output of 500 Wh are responsible for a relaxed cycling. The Kettler e-bike Obra Ergo FL (Wave, 28 inches) is equipped with a reliable Shimano Nexus 8 gears hub gear including freewheel, so that you do not only cycle comfortably but also brake safely. The Suntour suspension fork and the stem are adjustable, so that you can optimally adjust the Kettler e-bike Obra Ergo FL (Wave, 28 inches) to your own requirements. The first-class equipment is completed by the Ergon GC1 handles, which fulfill highest haptic needs. The Kettler e-bike Obra Ergo FL (Wave, 28 inches) offers you absolutely everything to cycle with ease, style, and fun. Kettler e-bike Obra Ergo FL (Wave, 28 inches) aggiungere alla lista di comparazione.